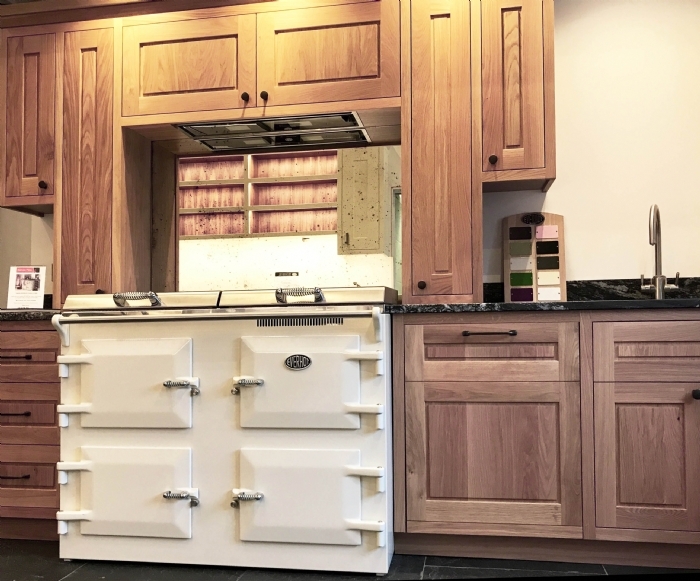 Broad and Turner, hand-made kitchen and furniture makers of Bodmin have installed two incredibly beautiful kitchens in our Wadebridge showroom, making the perfect backdrop to our Everhot cookers. The exciting new kitchens were designed by Charlie, owner and chief designer at Turner and Broad. The cream Everhot 110, with double induction hob and hotplates is surrounded by a solid oak, handcrafted traditional kitchen with Black Beauty granite work tops which have an incredible texture which has to be felt to be believed. The granite is supplied by Duke Stone of Helston. The mirrored glass splashback is supplied by Rough Old Glass. The eye catching Teal Everhot 100 is surround by a solid wood, handmade kitchen seamlessly painted white. 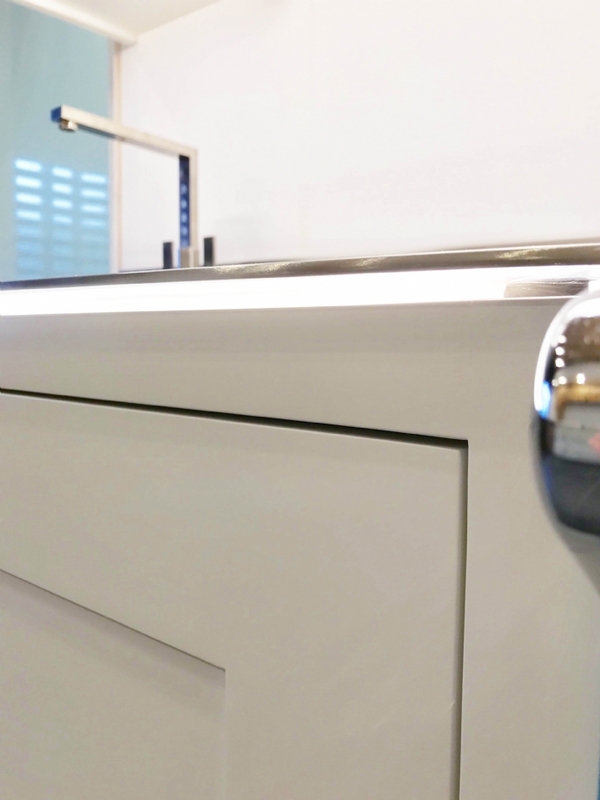 The extra details of under counter lighting and walnut shelves, each individually lit, are breathtaking and causing a huge stir in the showroom, setting off the vibrant blue Everhot electric cooker with all it's stainless steel fittings. 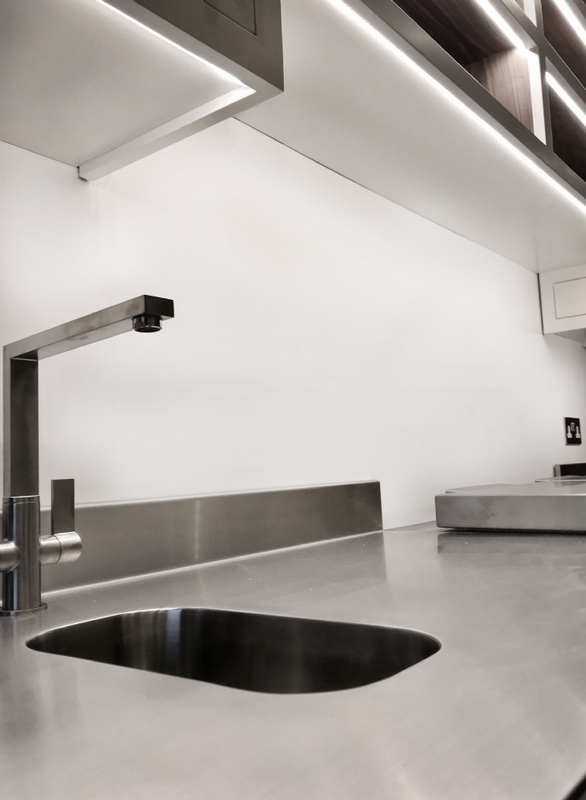 The bespoke stainless steel worktop, including sink were supplied by Matt George of the Stainless Steel Work in Truro. Broad and Turner make bespoke kitchens for homes across the UK and their skilled craftsmanship and years of experience are evident in their use of space and the feel of each and every tiny part of the kitchens, no matter how small. Please feel free to come in and have a look at the new Everhot kitchens.